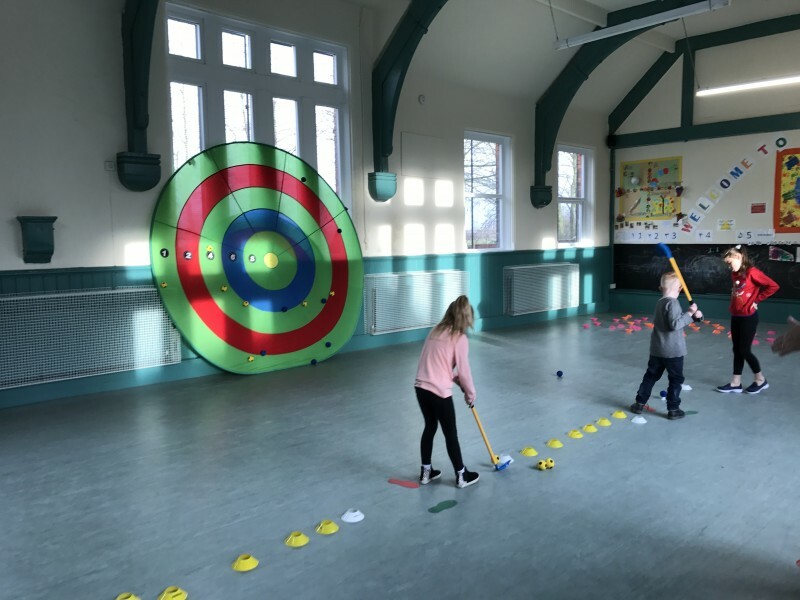 Mike Bennett, a golf coach at Bury Golf Club is planning on delivering “Tri-Golf” for children from the age of 5 at Hollins Community Centre. Tri-Golf is a miniature version of Golf that can be taken into almost any environment and is a perfect way for children to learn a new sport in a fun and friendly setting. 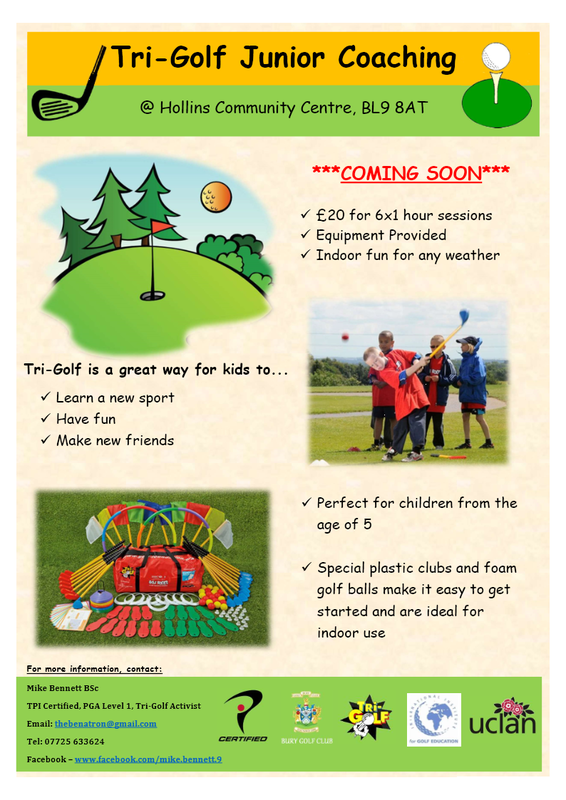 Tri-Golf utilises youngster-friendly equipment with velcro/foam golf balls with large pop up targets for scoring games. Mike is currently running Tri-Golf every Saturday from 2-3pm for the Juniors of Bury Golf Club so if you wish to pop in and have a look then you are more than welcome to do so. He is looking to “Tri-Golf” for 1 hour every Saturday for 6 weeks. At this stage Mike is trying to gauge interest so please let him know. A picture and a Tri-Golf poster with Mike’s contact information are attached and if you have any questions please don’t hesitate to contact him. I have been a member of Bury Golf club for 19 years where I hold a handicap of 1. I graduated last summer from Myerscough College with a first in BSc Golf Coaching and Performance and I’m currently at UCLan studying for a MSc in Sport and Exercise Science. Outside study I work in retail and do some part time junior coaching as well as very recently starting delivering Tri-Golf for the Children of Bury Golf Club which I would like to open out to the community. I am CRB checked and have attended a safeguarding & protecting children course. My goal is to promote Junior Golf and get kids active in the area in a fun and safe environment.